I am sure that this project is the hope of all women everywhere. Let us also hope that this Exhibition will lead to additional opportunities throughout Japan, and all the countries of all the world, to communicate and express our humanity. On this occasion of the opening of the Women Beyond Borders Exhibition, I would like to share some of my thoughts with you. First, I heard that the women of the world had joined hands and created artistic works using small wooden boxes and that an exhibition of these works was on tour throughout the world. Tenryu is a sylvan city and has declared itself a city of trees. This city has a museum of the arts which has a permanent exhibition of the works of a famous Japanese woman artist, Akino Fuku. Thus, the city was ideally suited to hold such an exhibition. 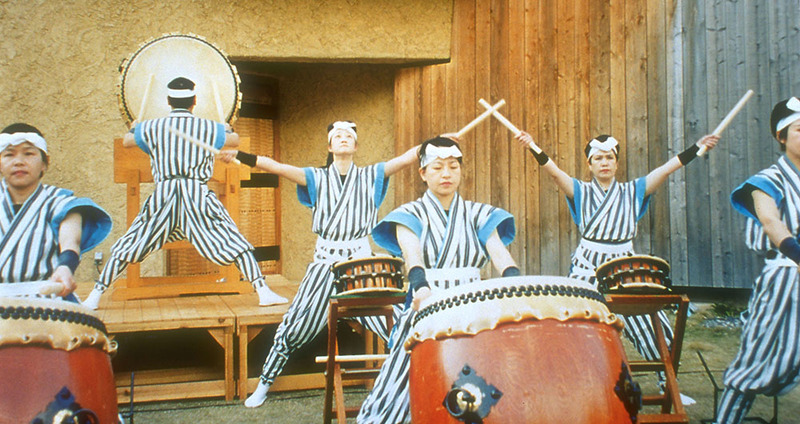 The museum has become known to a certain degree as a museum specializing in Japanese style art. However, I feel it is the work of the museum to help develop an appreciation of all kinds of art, widely defined. Therefore, I would like to see the museum hold exhibitions of Japanese art, oil paintings, contemporary art and other styles of art as well. However, I wondered whether a small art museum in a regional area could successfully generate a wide acceptance and understanding of contemporary art such as the WBB exhibition. As the opening of the exhibit approached, my worries on this point grew. I wondered why it had to be an exhibition involving only the works of women artists. Why couldn’t it be an exhibition of the works of both male and female artists, I wondered. At that point, I decided that it was time to study the situation more closely. 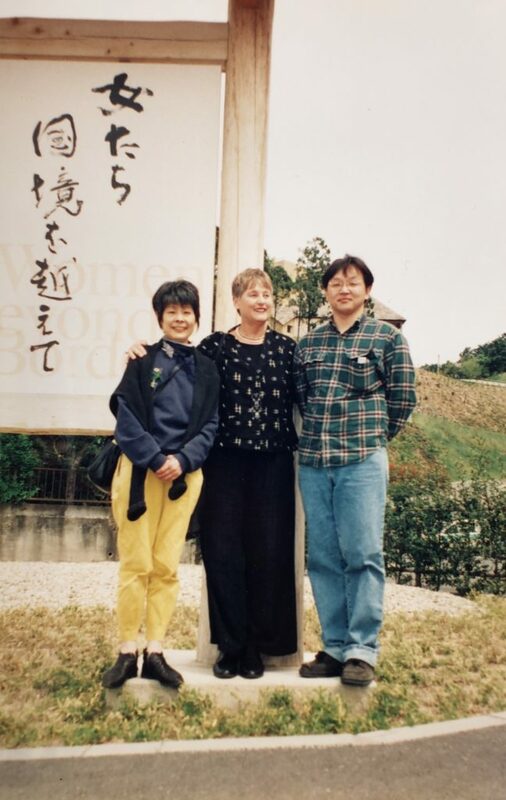 Thus, early this year, I went to the United States with Ms. Shoko Toma (the Japanese Representative for the Women Beyond Borders Exhibition) to visit Lorraine Serena in Santa Barbara, California. Just at the time we visited her, she was in the middle of explaining their efforts to collect donations and her atelier was filled with women who gently supported the WBB exhibition. It was as if a great female power was focused on that peaceful town and I was stunned by the way they all played their own roles in building support for the exhibition and making it a success. Behind the scenes, their friends and family members were supporting them, in spirit and effort, a scene which moved me. We asked Lorraine Serena a few questions about the exhibition. “At the beginning, I was just gazing at a small wooden box on my desk. Then, I got to thinking about how great it would be if the women of the world could hold an exhibition. We started from that point. As the exhibition went around from country to country, there was a very strong response. 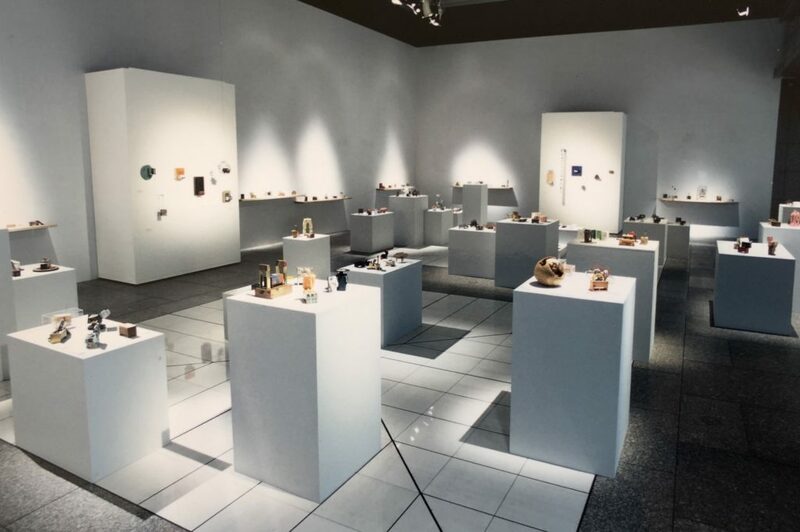 For example, in countries such as Russia, Kenya and Mexico, the status of women is still very limited.” Thus, the exhibition provided an opportunity for voices to be raised for increasing the sensitivities of all regarding these problems which, when I hear about them, have a powerful emotional effect on me. The WBB exhibition is an exhibition inviting men and women everywhere to join hands in greeting the 21st century. Supporting such a worldwide exhibition of women artist’s work is a good way of expressing our hope that we will have a peaceful world in the years to come. These were the thoughts that I brought back with me. 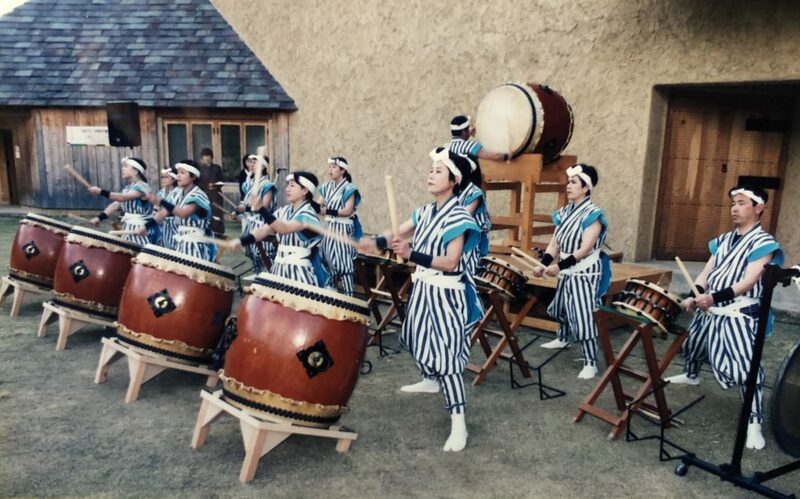 The Women Beyond Borders exhibition at the Akino Fuku Museum opened in Tenryu on April 16th with a fanfare of women Taiko drummers resounding an ancient and powerful cadence amidst cedar forests and blue skies above the Tenryu river. The fortress-like museum offered a powerful backdrop for the boxes from around the world. 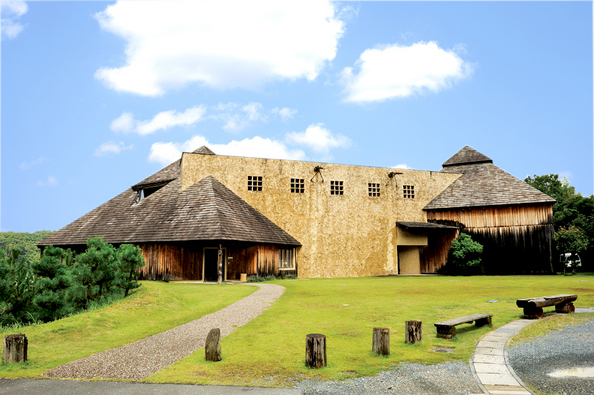 In addition to the permanent exhibition of works by the master artist Akino Fuku, several special and planned exhibitions are held at the museum throughout the year. At the opening we met Japanese participants and Yony Waite, WBB artist and curator from Kenya. 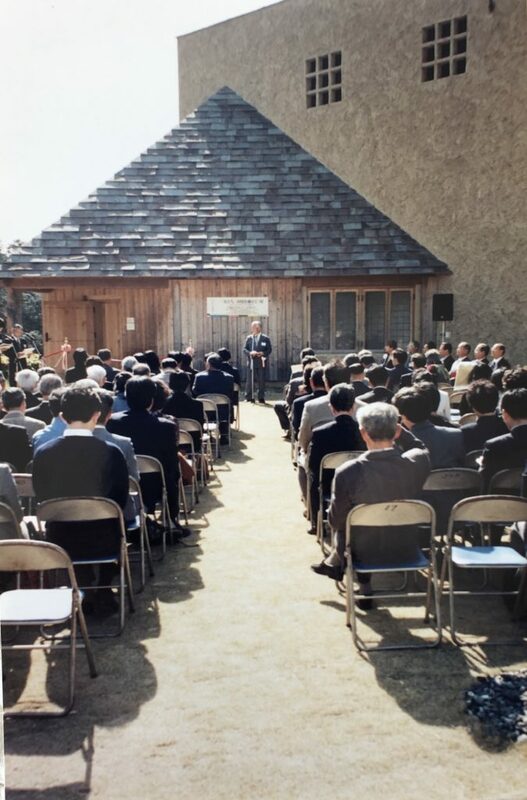 The Mayor of Tenryu, the Director of Education, Director of the Akino Fuku Museum, and many other dignitaries gave formal speeches, which embraced a depth of understanding and appreciation of WBB and beyond to the power of the mythical significance of the box in a land which comprehends and reveres such things in daily life. 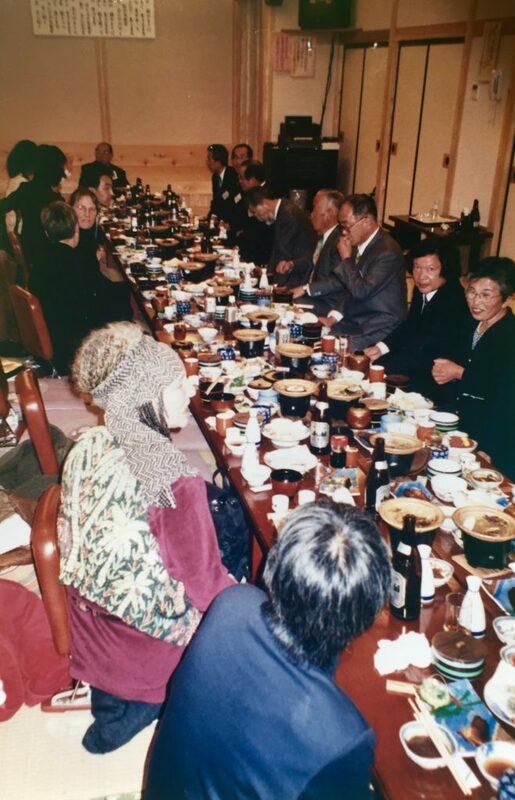 Artists, officials, men and women from the nearby towns gathered after the opening at a lakeside Ryokan for a traditional banquet of delicacies, joyful conversation, more speeches, rituals and singing into the night led by Yoni Waite. Yoni surprisingly spent many years in Japan and spoke the language fluently! 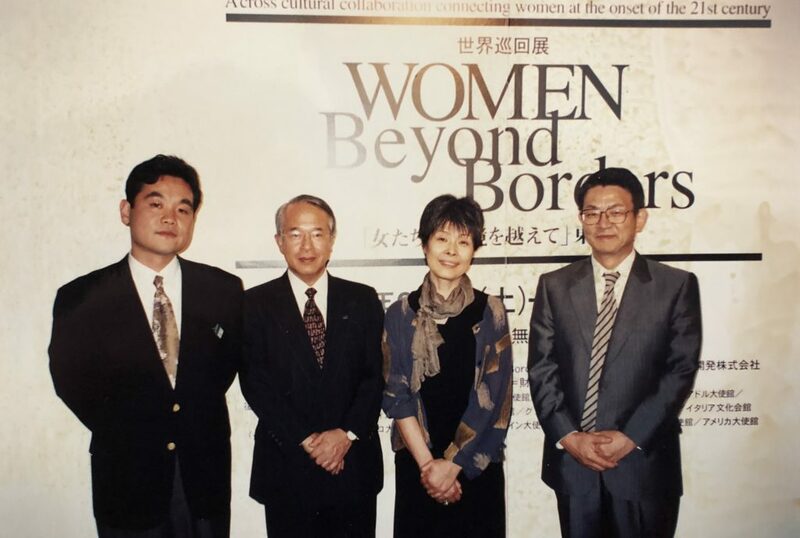 The Women Beyond Borders Exhibition was created by Lorraine Serena, an American artist from California, and her associates. The project has in turn, caused more and more women artists to contribute their work to the exhibition. The exhibition here in Japan consists of 200 of these works. I think you will agree with the others who have seen the exhibition and were thrilled by the wonderful individuality of the various works and their artistic expression. I believe that these unique works will speak to you about the hopes of all, both men and women, the young and old, and all races for not only a 21st century without war, but continued peace in the coming millenniums. I am sure that this is the hope of all women everywhere. Let us also hope that this exhibition will lead to additional opportunities throughout Japan, and all the countries of the world, to communicate and express our humanity.